MS Outlook is no more an exclusively desktop-based email client as it enables synchronization with Microsoft Office 365. When Outlook is used as a component of Office 365, it becomes connected to Exchange Server. Outlook users often face different OST file errors during their Outlook usage, especially while connecting to Exchange. In this write-up, we will talk about topmost OST errors and their fixes. Thus, users will get a clear idea about OST errors and ways to resolve them. Let’s move straight to the OST file errors and their solutions. We have chosen top 5 OST errors that occur frequently to Outlook users. Now we will know about the errors in brief and its solutions. This error message appears when users add another mailbox to their Outlook and try to open the shared folder. Solution: You have to set “Folder Visible” option for the latter mailbox you have added. You have to perform this on a system that contains the mailbox and the folder you want to share. Open Outlook and right-click on the mailbox and select Properties from the shortcut menu. Click on Permission tab and check Folder visible option. Click OK. This error message is generated in case of corrupt or damaged OST files. Close Outlook and go to Windows Explorer to click on Start>> Control Panel. Make sure “Classic View” mode is enabled in Control Panel and click on Mail. Go to Mail Setup dialog box and then click on Show Profiles. Find out the defective profile and terminate it. Once you have removed all damaged profiles, click Add to create a new profile. Add a new email account according to server settings. Open MS Outlook and connect it to the server to synchronize. This error is often encountered by Outlook users as the number of Outlook items does not match with the number of items stored in Server. Solution: Remove filters for Outlook folders by implementing these steps. 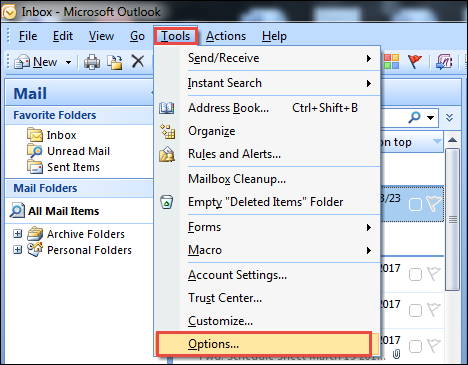 Navigate to Outlook details pane and right-click on the folder you are having problems with. Select Properties from the options. Select Synchronization tab>> click Filter. Now click on Clear All option or change filter criteria as per your requirement. When users try to synchronize OST file with MS Exchange Server, they face a number of errors. To avoid those errors, they may follow the following techniques. Solution A: Turn On Outlook Cached Mode In case you have turned off cached mode in Outlook, enable it to solve the problem. Launch Outlook and click on Tools >> Account Settings. 2. Click on Data Files tab. Choose the profile name you wish to synchronize and click on Set As Default. First of all, you need to select the folder you want to sync with Exchange. 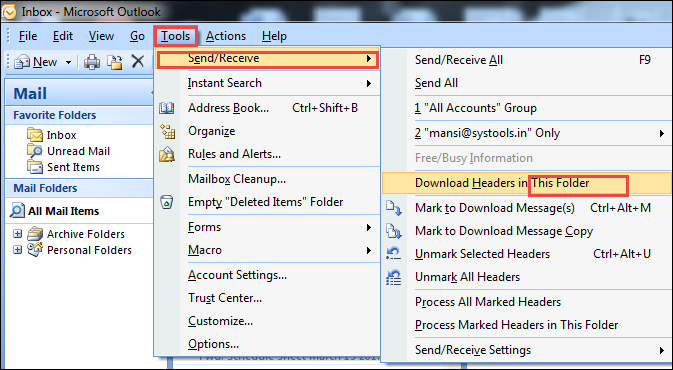 Enable automatic synchronization of all Outlook folders. 1. 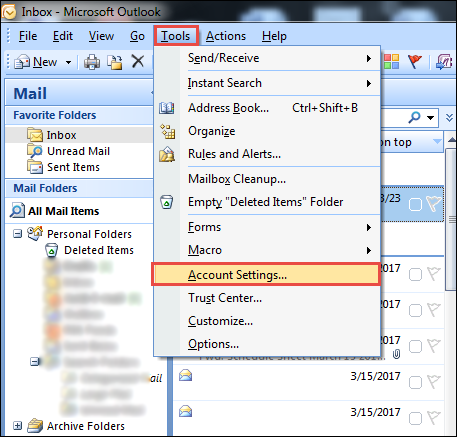 Open Outlook and click on Tools. Now, choose Options. As many people complain about OST file errors and demand for their solutions, this post discussed topmost OST errors and their fixes. Users can take help of the remedial methods described here to solve any Outlook OST error occurring to them. All techniques have been described in a lucid manner so that users easily understand the instructions. In today’s era, most of the organization use Outlook application for the communication purpose. It stores its all data items in OST and PST format. However, an OST file is the offline storage table, which comprises the replica of data items that are stored on the Exchange server. But, sometimes, OST files are unable to connect with the Exchange Server mailbox due to many reasons. That is why OST file becomes orphan and users faces the error message when they try to open the OST files. Thus, users are looking for a reliable solution to recover orphaned OST file. With the help of this article, you will get to know how to restore data from an orphaned OST file. An OST file is very useful as it allows to work in offline mode. It creates replicas of mailboxes and stored in the database of Exchange Mailbox. In some situations, where the primary mailbox is removed from the server, Exchange then OST files gets orphaned or useless. When Exchange Server mailbox is deleted, then, OST file becomes orphaned and inaccessible. There are many reasons that will make your OST file orphaned. Moreover, you can classify all the reasons in two categories. They are: hardware reasons & software reasons. Virus or other malicious software infect or damage the MS Exchange databases. Delete, disable, or deny the access of the mailbox on the Microsoft Exchange Server. Human misoperations such as delete database by mistake, mis-formatting the OS, mis-partitioning the storage device, etc. Controller card malfunction or failure. Abnormal shutdown server or Power failure. Microsoft is the developer of Exchange and Outlook client-server program for Windows platform. It advises that if the original Exchange account is not deleted or modified, then users can start the Exchange application offline by using old OST file. However, It can also restore the OST data by converting the OST files to PST formats. But, in case, if the MS Exchange account has been deleted or altered, then the OST files will be lost and it becomes orphaned and completely inaccessible. How to Restore Data From an Orphaned OST File? As it is known that there is no any manual method available to retrieve the data from an orphaned OST file. In such case, the third party tool comes as an effective way to restore the data from orphan OST file. Out of which, one such tool is Offline OST to PST Converter Tool that recovers all the unparented data and stores it in a healthy PST file. The software is capable to retrieve the entire data by maintaining the integrity of OST files. The tool is designed in such a way that it supports the OST files both compressible and high-level encryption. The utility provides an option to split the large size PST into smaller parts after conversion. Moreover, it is not necessary to install the Outlook application. After recovering and restoring the data from orphaned OST files, the tool generates a status report for future usage. When a user needs to open and access their unparented OST files, they need to recover the inaccessible data. So, in this blog, we have discussed how to restore data from an orphaned OST file. For this purpose, you have to convert your OST files into PST format in Outlook environment. There is an automated solution discussed here, which is capable access and recover orphaned OST file without Exchange Server environment. MBOX is one of the most common universal file formats. It saves entire emails along with attachments in the encoded format. 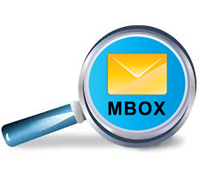 One can easily open and view the emails using MBOX file to read its contents. Moreover, there are various situations, when users are required to examine MBOX files. Then the first question comes in users mind i.e. how to open MBOX file? So, Thunderbird email application being the prominent choice of the users because it can be accessed easily. As a result, many users experience hindrance while reading MBOX format. The users are constantly searching for a solution to find out how to open and view MBOX files in windows 10, 8, 7 and all below versions. In the following section, you will get to know the complete step by step method for Opening MBOX Files. Firstly, you are required to open Mozilla Thunderbird on your PC. Once, you open the Thunderbird on your system, then go to tools and select import/export tools option from the list. Now, you can select Import MBOX file from the list. After completing this, MBOX file Import window will pop up on the user’s screen, then choose the option to import multiple MBOX files. Next, you click on the OK button to start the process to open MBOX files to Thunderbird. If you need to view MBOX files along with it’s all subdirectories so, then you can easily select the import one or more Mbox files with their subdirectory option and then click OK.
Next, browse MBOX files from the particular location on the hard drive. Finally, click on the open option in order to open and view MBOX files extension to Mozilla Thunderbird. Thunderbird Installation is necessary to open MBOX files. Supports MBOX files created in Thunderbird, Mac Mail, Google Take outs etc. It happens frequently that Mozilla Thunderbird application is installed in the system but, users are unable to view MBOX file. In such situations users search the answer to the question how to open MBOX files? Therefore, both manual and automated methods to perform the same are introduced in this blog. In the manual method, installation of the supporting email client is mandatory. That is why users are always suggested to go for the automated solution. There are a number of techniques that you can try to get rid of this Outlook not responding issue. We will share some of the frequently used methods to solve this problem. Let’s begin with the technique that you may use if you are stuck at the screen that says processing. If your Outlook stopped responding and showing “Processing” without any progress, close Outlook at first. Now open Outlook in Safe Mode and follow the steps depending on your OS version. For Windows 10, click Start>> type Outlook.exe /safe in the search box>> press Enter. For Windows 8, go to Apps menu and choose Run, type Outlook /safe and click OK.
For Windows 7, click Start>> type Outlook /safe in “Search programs and files box” and press Enter. If this does not solve the problem or “Outlook is stuck on Processing” does not show up on your screen, try the next steps. Often Outlook displays different dialog box to which we have to respond. If we do not respond to those dialog boxes, Outlook stops responding and does not allow users to do anything else. To solve this MS Outlook not responding issue, check if there are any Outlook dialog box open on your system. Users can press ALT + Tab keys together to see all the windows. If you see any dialog box then close it. If there is no dialog box, go to the next technique. If Outlook is engaged in a long process, for example, deleting or copying a large number of emails, it may stop responding. The process takes time and during that time, Outlook will remain stuck. You need to make sure if Outlook is in the middle of any process or not. If yes, then give it some time to finish and try later. Otherwise, go to the next method. To get the best out of Outlook, you need to have the latest Windows and Office updates installed. It keeps the system up to date and helps you avoid Outlook errors. Install latest updates of Windows and MS Office on your system to fix this error. If the issue still occurs, go to the next solution. 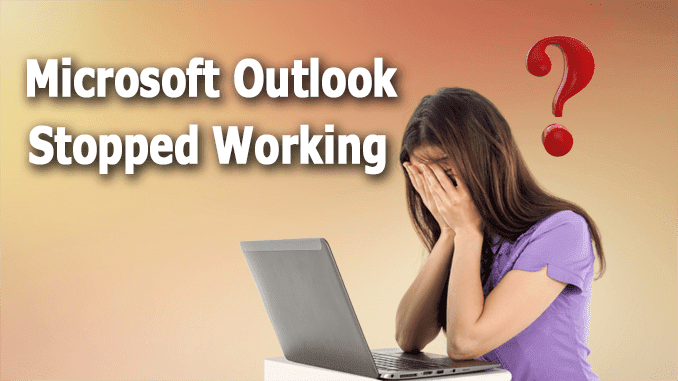 Repairing other programs of MS Office can also solve “Outlook stopped working” error. Perform these steps to fix any Office program error. If any Office program is running, stop it. Go to Control Panel and choose Programs and Features. Find Microsoft Office from the list of applications and select it. Now, choose Change option to repair it. If repairing does not work, create a new user profile. For Windows 10, click on Start. Now, type Control Panel>> press Enter. From there click on User Accounts>> Mail>> Show Profiles. For Windows 8, click on Control Panel>> Mail>> Show Profiles. For Windows 7, Click on Start>> Control Panel>> Mail>> Show Profiles. Select Add and type a profile name in the Profile Name box>> click OK. Enter the credentials of primary Outlook email and follow next steps to create the new profile. After the new profile has been created, choose Prompt for a profile to be used on “Show Profile” option. Start Outlook and choose the new profile. If this resolves Outlook is stuck issue, delete the old profile. If t he problem still persists, repair Outlook data files. If none of the solutions work then users must repair Outlook data files. Corrupt OST file often causes “Outlook stuck at processing” error, so repairing it is a good idea to resolve the error. OST Recovery Tool works wonder when it comes to repairing OST data files. Any type of corruption or damage in the Outlook OST data files can be fixed using this Recover OST File utility. Using this program, users can easily solve “Outlook not responding” problem. “Outlook not responding” or “Outlook stopped working” is such kind of errors that completely prohibits users from using MS Outlook. Many Outlook users want to know the solution to this error. This post discussed seven ways to resolve Microsoft Outlook not responding error. Users should apply these methods to fix their problem. OnePlus recently confirmed the 6 will be officially unveiled in Europe on May 16, but a launch event is scheduled to take place in China one day later as well. Along with the regular version of OnePlus 6, an Avengers-themed model will be announced too, which will be available in limited quantities. These days, OnePlus released the first video teaser of the Avengers-themed OnePlus 6, for you to be officially added in India on may 17. much like a number of the preceding OnePlus smartphones, the OnePlus 6 Marvel Avengers limited edition may be completely available for purchase via Amazon India. It is but doubtful whether or no longer the special edition flagship will be released in different countries like the united kingdom and the united states, but since the OnePlus 5T famous person Wars variation became made available in these areas, we are hoping the chinese handset maker will repeat the experiment. According to a previous report, the OnePlus 6 Avengers Infinity War Limited Edition will be available for purchase for around $800, which means it will pack the best hardware configuration possible. Expect the OnePlus 6 to feature the Snapdragon 845 mobile platform under the hood. We could see the screen remain at 6-inches with the 18:9 aspect ratio and a resolution of 1080 x 2160. And the thin bezel look of the OnePlus 5T will most likely continue for the OnePlus 6. One plus 6 release date in India is 17th May 2018. The OnePlus 6 Avengers Infinity War Limited Edition will be available for purchase for around $800 or in india price it may be 49k. An organization migrates to cloud-based services for better features and facilities. For any business related migration and plans, the prime concern is data loss. There are many distinct plans and strategies which assist a user to transfer the files. This transition is a valuable deal and lots of expectation of various customers and clients is involved. But, there are some hindrances which can fail the purpose of archiving the mailbox. There are not many issues but, these are powerful enough to create a problem for the users. All a user needs to have full knowledge regarding Office 365. No need to despair as all the relevant details have been mentioned in the post. Now, the problem emerges when an employee leaves the organization. The manager may request to delete his/her account. Before a user leaves, the mailbox is put on the hold. If this is not done, the emails cannot be accessed and the data will be lost. 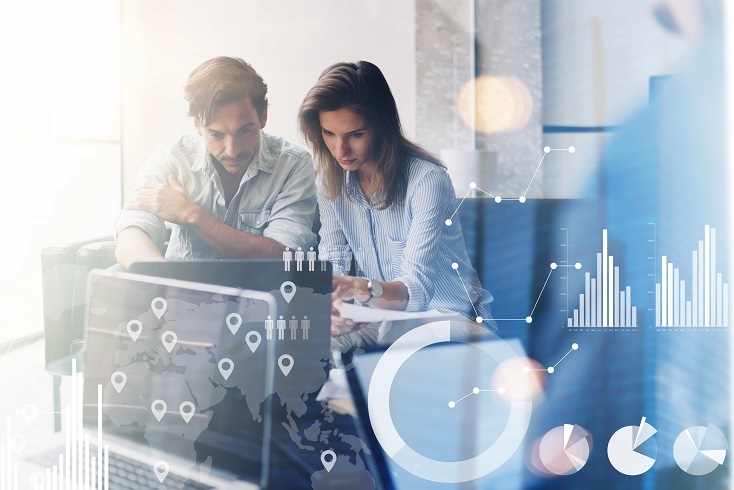 In case, there is the corporate investigation or legal investigation on that employee, the conversations cannot be presented in the form of evidence. This is one of the notable drawbacks of O365 archiving. OneDrive/SharePoint Retention Limitations: There is a feature called Document Versioning. If this feature is switched on, only the recent edition of content is stored and not the entire directory. This feature enables the user to retrieve back the older data in case it is mistakenly deleted. Similar to Outlook and Office 365, OneDrive also contains a set of folders for protection. In OneDrive too, the deleted items will stay in the Recycle bin for 93 days, otherwise, the data is permanently deleted manually. As soon as this limit is reached, the data is migrated to Site Collection Recycle Bin. Once the retention settings in Site Collection Recycle Bin crosses the maximum limit, the data will vanish. Any organization should have full knowledge of all the policies. This can be inconvenient and time-consuming. For deleted items, this service to customize retention policies is only available for Office 365 or Outlook. These policies vary according to the different plans and services of the Exchange Online. To recover one item, there is a lengthy procedure of multiple folders. No complete backup solution is available and it is needed to prevent data loss via limited measures. How to Prevail Over these Drawbacks of Office 365 Archiving? The conversations can be secured in a number of ways. One method is to save the important information manually, which is a risky task to perform. So, the non-technical users and professionals look for a more perfect solution to backup Office 365 archive mailbox to PST file format. It is recommended to use SysTools Office 365 Email Extractor. It equips the user to archive emails, calendars, contacts to another file format with the help of multiple options available. The utility can be used in two different manners: using admin credentials and without admin credentials. Users can save their account data to different file types like PST, MSG, EML. The product is adaptive with all the versions of Windows such as 10, 8.1, 8, 7, XP and earlier versions. Both OST and PST file is created by MS Outlook and it seems to be similar if the seeker is unaware about these files. In this situation, it is difficult to decide which file is used for which purpose. That is why, in this article, we will compare OST vs PST. On further reading, users must have a good idea of both file format individually and users can decide which is best for them. First, let’s know about Microsoft Outlook. Microsoft Outlook is the part of the Microsoft Office suite, which is originally intended as an email application but it also has several other features like task, contact manager, calendar, journals, notes and web browsing. There are two ways to save files in MS Outlook: through the OST or the PST files. In addition, Outlook is a web-mail provider that allows configuring with other web-mail providers such as G-mail, Yahoo, etc. There are two ways to setup MS Outlook program according to user’s needs and requirements. Stand Alone Application: In this, a user needs an e-mail account to set-up MS Outlook, as it is a web-mail provider. Thus, the account is configured with MS Outlook becomes the default account. If more than one account can be configured in Outlook, then one is being the primary account & others are called secondary. With Exchange Server Environment: In this, connect your Microsoft Outlook program to an Exchange Server that enables the settings of your account. After doing this, you are able to work even you are not connected with the server. Thus, you can access your messages, contacts, etc., and make changes to it, which will be updated automatically once the connection with the server is retrieved. The PST file is a personal data storage which is used for locally stored Outlook files while the OST file is an offline data storage that can be used without any internet connection. An OST file permits users to work like read, edit, delete, synchronize and compose the mails even in offline mode. But, PST file folder does not have this feature. A PST file may be used with an Exchange setup, but it is not recommended. It is compatible with other servers also unlike the OST file which works only with the Microsoft Exchange Server. In this write-up, we have compared OST vs PST and got an idea about both file formats in details. Both Outlook files are very important because they contain a lot of crucial information. So, people want to save it from corruption. In case, if a user faces corruption in these files, then they can use Outlook Recovery Tool to recover Outlook data files. Outlook stores all its mailbox items in Personal Storage Table also known as PST file. This file can only be accessed via Outlook because it is the proprietary file format for Microsoft Outlook. Thus, if users are required to open NSF file in Outlook then, they have to convert Lotus Notes to Outlook PST and then, the mailbox data can be accessed. Launch Lotus Notes email client and open NSF file that you need to convert. Now, click on the File tab and select Export option from opened menu list. Enter the file name and go to the location where the file is saved. Go to Save as type box and select Comma Separated value or Structured Text option. The opened dialog box will depend upon the selected file format. Make the selection as per your requirement and hit OK button. After completing NSF export process, the next step is to import this file into MS Outlook. The next step will certainly resolve the query of users i.e., can Outlook open NSF file? 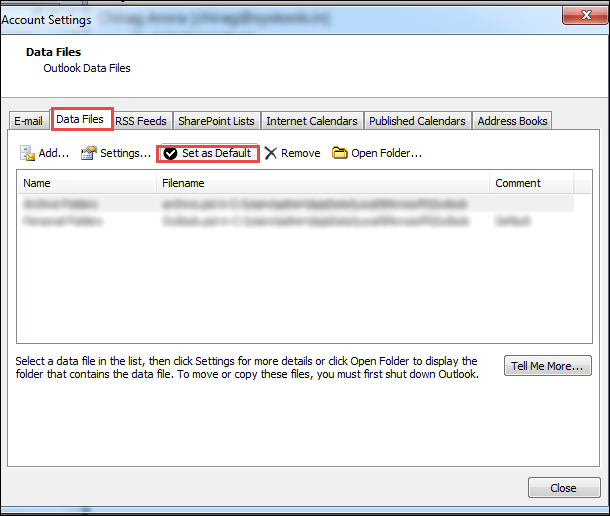 Launch Outlook program and hit a click on the File tab. After that, click on Open >> Import. Now, the Import and Export wizard will appear. Choose Import from another program or file option from the opened menu list and hit Next button. From Import a file window, choose CSV (Windows) option and click on Next to open NSF file in Outlook. Click on Browse button for selecting that file you want to import. Some option list will appear now that includes “Replace duplicates with items imported”, “Allow duplicates to be created” and “Do not import duplicate items”. Choose the desired option and hit Next button. Select the destination path to save the imported file. Eventually, hit the Finish button and process will be completed now. To overcome the limitations of the manual method, we recommend users to utilize a trusted third-party solution i.e., NSF to PST Converter Tool. The tool is designed on highly programmed algorithms that make the conversion very simple and reduce the chances of data loss. The software allows to convert whole Lotus Notes mailbox in a single attempt that can save a lot of time and efforts. Also, the tool is completely secure to download and operate. To Summarise Lotus Notes is losing its popularity due to various reasons and users are inclining towards Microsoft Outlook. However, migrating data from Lotus Notes to Microsoft Outlook is not an easy task. This migration generates many negative issues such as data conflicts, complexions in migration, time-factor etc. These conditions arise queries like can Outlook open NSF file? In order to resolve the same query, we have compiled some easy solutions in this article. Now, users can opt any method as per their requirement and preferences. Are you also finding the solution to open Outlook Data File without Outlook? If yes, then no need to worry because this article describes the complete step by step procedure to help the users to read data from PST file in an effective and hassle-free manner. Read the following write-up to have an idea about the different techniques to perform this migration procedure. But, before selecting any technique, let us have a quick idea of the PST files. Are you also facing the same issue? Is this query similar to yours? If yes, then you have landed at the correct place because this blog explains all the possible techniques to open PST file in the absence of Outlook in an effortless and hassle-free manner. The PST file accessibility is dependent on the presence of Microsoft Outlook. 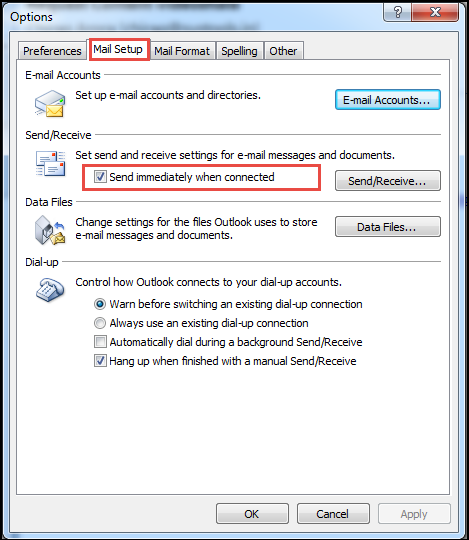 So, if you are having MS Outlook installed on your system and it must be configured properly with the help of POP3/IMAP account with dummy account which allows you to preview all the mailbox items. But, if MS Outlook is not present, then PST files can only be accessed using the commercial third-party tools. If you are among one of those Outlook users who want to open Outlook Data File without Outlook, then you can go for SysTools PST File Viewer. It is a standalone utility which does not require any pre-installation to view multiple Outlook PST files. If MS Outlook is not installed on the system, then users can preview complete Outlook PST file items including mails, contacts, journals, etc. This software allows to open Outlook Data File without Outlook including all the attachments like emails, calendars, contacts, etc. in the absence of Microsoft Outlook. It allows users to view Outlook mails in the different views which include the normal view, property view and also the associated attachments of Outlook mails. This Microsoft PST File Reader Application provides users with two different scanning modes in order to scan corrupted PST files. The first one is the Quick Scanning Mode and the other one is the Advance Scanning modes for less corrupted and higher corrupted PST files respectively. This software to view PST file content provides a preview of the complete Microsoft Outlook contacts. The Outlook Address Book appears exactly in the same way as it appears in Microsoft Outlook. It is capable to view PST file in the absence of MS Outlook. As Microsoft Outlook PST File Viewer is installed in order to open PST file, the default screen previews the email, but Outlook users can easily go to the calendar tab to read the Outlook calendar. This utility is also capable to show the Outlook Data items preview. The following write-up provides the complete techniques to open Outlook Data File without Outlook. As we have already discussed, there is no direct Manual solution in order to view PST files in the absence of Microsoft Outlook. Therefore, users are always suggested to go for the commercial third-party utility to open PST file without Microsoft Outlook. In this article, we are discussing the solution for query “How to Convert PST to MSG with their attachments?”. It can be simply done by using PST to MSG Converter which can instantly export entire data items of Outlook PST into MSG format. It is a reliable solution for users to export PST to MSG format. Now a day, MS Outlook is the most widely used in the organizations for their email services. MS Outlook offered many advanced features as compare to other email clients. It is the most secure file format which stores entire data of Outlook in PST format. PST file format stores entire data items like email messages, notes, contacts, attachments, notes, journals, mailbox folders and more. Whereas MSG is also a file format of MS Outlook which can be easily created by using the drag and drop method. MSG file contains a single email message and their attachments. It is so simple file format which can be easily opened or read by any text editor. Why We Need to Convert PST to MSG Format? · Easily manage the important email messages in MSG format unless the entire PST format. · Access the outlook data in MSG format easily as compared to PST format. · PST file is large in size and time-consuming process to access the desired email messages. · MSG files are beneficial for forensics use. · Less Chances of Corruption of the MSG files. · Sharing of MSG files is easy as compared to PST format. · A Technical Method which is performed to export PST data into MSG format safely. · A Manual Method is used to convert PST to MSG format but it is a time-consuming process for users. The manual method is always a challenging task for users to perform the conversion process. The manual method is a time-consuming process and not possible to convert thousands of files. So, it is always recommended by the technical experts to use ZOOK PST to MSG Converter. It is a sufficient and the reliable solution for users to convert PST to MSG format with their attachments in few seconds by maintaining all the data integrity of email messages. This offers several advanced features of the application which is easy to manage for the conversion of PST to MSG format. · & nbsp; Bulk Conversion of PST to MSG Format. · Supports multiple versions of Outlook to convert PST to MSG format without any error. · Easily maintains data integrity of the email messages after the file conversion too. · Users can easily save their resultant MSG file in their desired file name by using different file naming options. · Complete conversion of PST to MSG format with their entire data items. Open Microsoft Outlook, and select Inbox which shows the entire incoming email messages. · Select the desired email messages >> Use drag-and-drop method by selecting email message and drop it to window explorer on the desktop. · Repeat step 2 again and again for converting multiple MSG files into PST format. · Save all these MSG files in a folder. Now select and right click on that folder >> Send to >> Compressed(Zipped) folder. · Now compose a new mail and attach that zipped folder as an attachment and send it. · Now receive a manually created PST file. For better results use the best third-party tool to convert PST to MSG format. PST to MSG converter is also available as a free trial version which offers a conversion of 25 items from all the mailbox folders.